Gift your dedicated fan a spectacular NCAA and college-themed surprise. 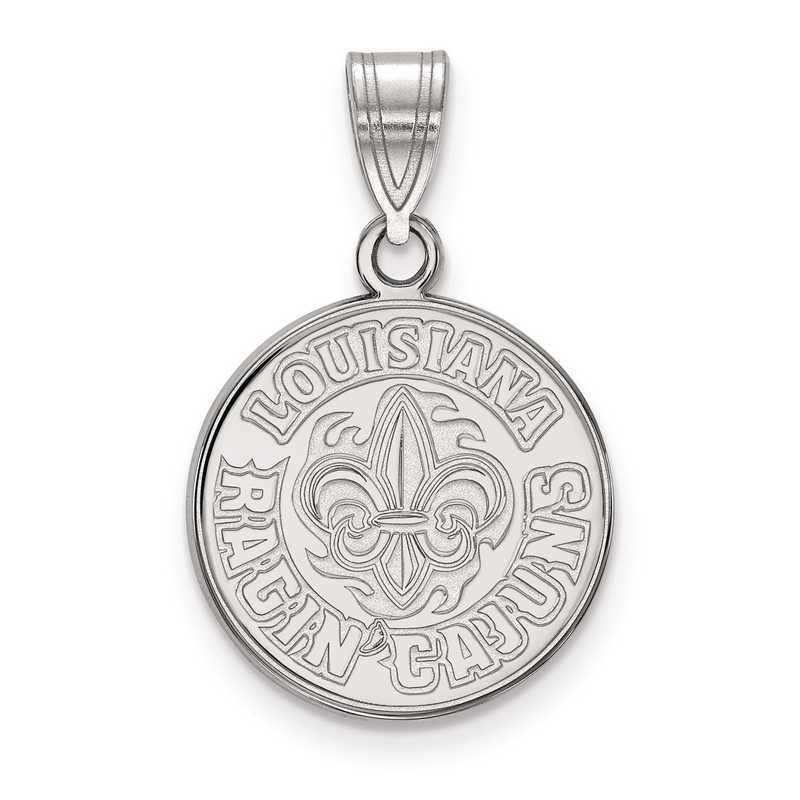 Let everyone know which university you are supporting for, with this University of Louisiana at Lafayette pendant. This pendant is set in sterling silver with laser-cut and polished finish to give long lasting shine. From LogoArt, this 22x15mm medium Crest pendant displays logo design in center and inscribed with collage name and year on round disc for unique appeal. Manufacturer direct from a trusted supplier.